You are here: Home / Uncategorized / Gotta Catch ‘Em All – But Please Be Safe! Pokemon Go Safety Tips! 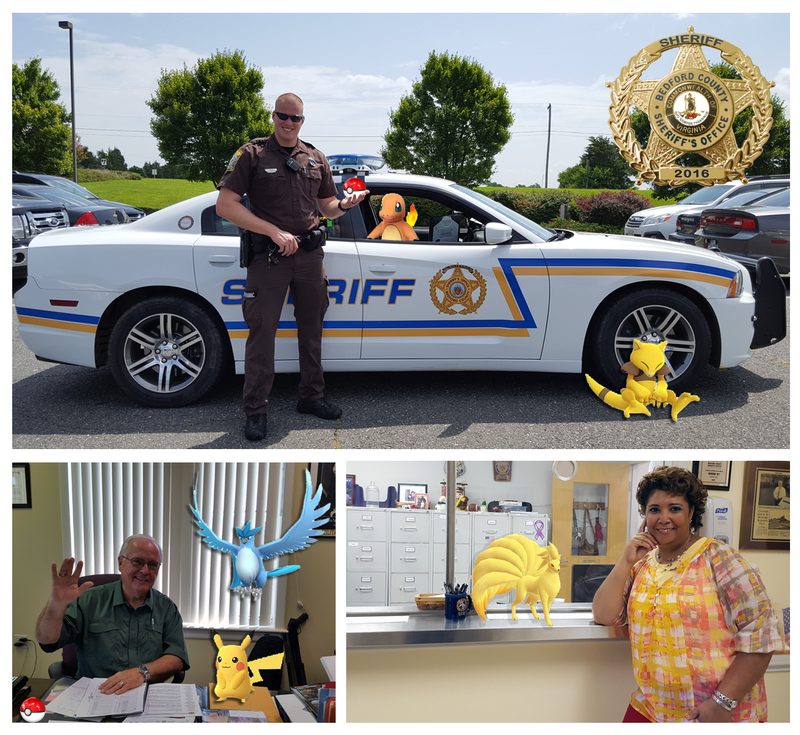 Gotta Catch ‘Em All – But Please Be Safe! Pokemon Go Safety Tips! Pokemon Go is taking the world by storm AND those critters are crawling and flying all over Bedford County! Though many of us here at the Sheriff’s office enjoy catching these critters, please be sure to play carefully and keep yourself safe. Be sure to play ‘legally’. Don’t trespass on private property and respect the laws in restricted areas. If out at night, be sure you’re wearing visible clothing. Don’t play while driving…I know this seems obvious, but this IS happening! Be cautious of strangers. All those gathering may have things other than Pokemon in mind. If you are approached by an inquisitive deputy, educate him/her on this cool game. Have fun, get out and about our beautiful county and catch as many Pokemon as you can!